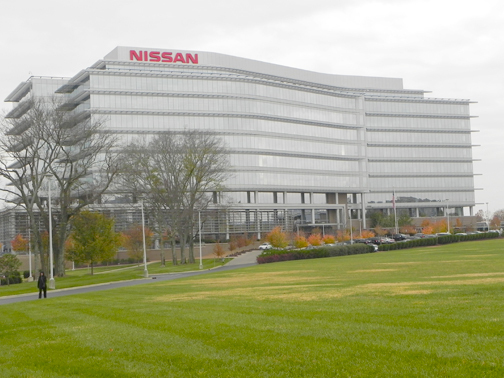 Jeff Kuhnhenn, a senior architect and practice leader at Gresham Smith & Partners predicts collaborative space will be trending in architecture, pointing to the Nissan headquarters in Cool Springs as an example. Sam Burnette, an architect and principal at Earl Swensson, says “natural differences” pop up between generations at the firm. This intergenerational dynamic, a mix of sage knowledge and space-age design not unlike that of Yoda and Luke Skywalker, seems to impact most area firms on some level. Many of the Midstate’s talented architects, designers and engineers -- young and old alike – say the cross-generational culture is helping to inform the architectural achievements of the future, which they say will be streamlined wonders of energy and efficiency and innovation. They foresee a time in the very near future when it’s common for a building to “remember” what it needs and e-mail a reminder to someone at the company. Some projects will go beyond being carbon neutral, but actually produce more energy than they take. David Powell, an architect and principal at Hastings Architecture Associates, says the green building movement of the past decade will reach a new level of achievement in coming years, most likely under the leadership of some of the up-and-coming stars at his firm. Jeff Kuhnhenn, a senior architect and practice leader at Gresham Smith & Partners, says many buildings of the future will be planned to foster cooperation. Meanwhile, the hierarchy and pecking order at many firms is taking a back seat to the collaborative process. Chuck Miller, an associate architect and project manager at Tuck-Hinton, says young members come into the firm with computer skills that are off the charts and better than those possessed by superiors. But the young up-and-comers need to learn the people management skills and patience that senior architects have. The mentoring goes both ways. The collaborative environment is bolstered by project management software and high-tech design programs that allow many members of a team to be in close communication, even with those outside the process such as contractors and builders. “It’s in everyone’s best interests to work together,” McNeil says, adding that the hyper-collaboration and advanced technology often make the design, building and construction process go much faster. Thomas Miller was an early adopter of Building Information Modeling (BIM), an intelligent 3D process that provides insight for creating and managing projects faster, more economically and with less environmental impact. “We are working on projects that quite honestly couldn’t be done without it,” McNeil says. Earl Swensson’s Burnette also sings the praises of the BIM program, and says it represents the future of the industry.